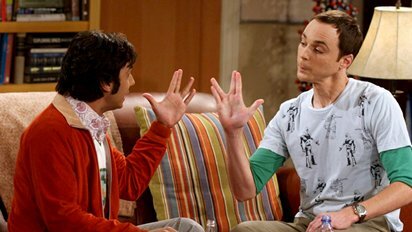 Playing "Rock, Paper, Scissors, Lizard, Spock!" Need a refresher on the rules? If you're still confused, watch the clip below, or get the t-shirt from Think Geek. And, of course, make sure to watch the Season 4 premiere tonight at 8pm on CBS (it's okay, you can DVR Community! ).